Hello! 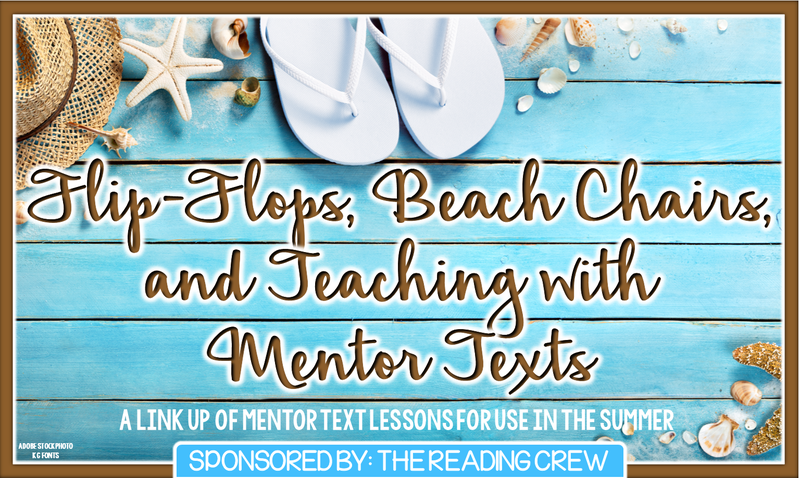 I've joined "The Reading Crew" for a link up of mentor text lessons for this post. 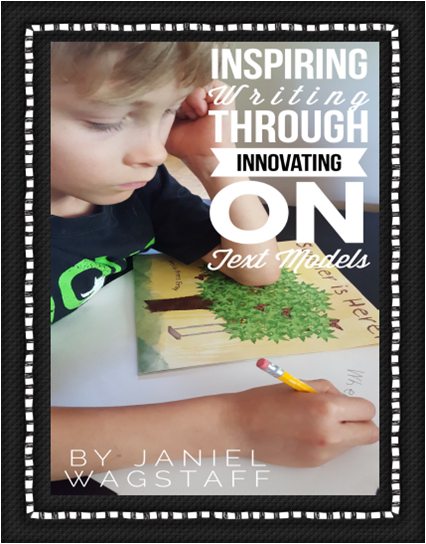 Over the years, I have had great fun and positive results using texts as models for innovations with young writers. The idea is to “borrow” language from texts as a scaffold for students. If you’ve not tried this before, I know you’ll be pleased with the simplicity of the technique and your students’ success. "Summer is Here" by Heidi Pross Gray as an example. 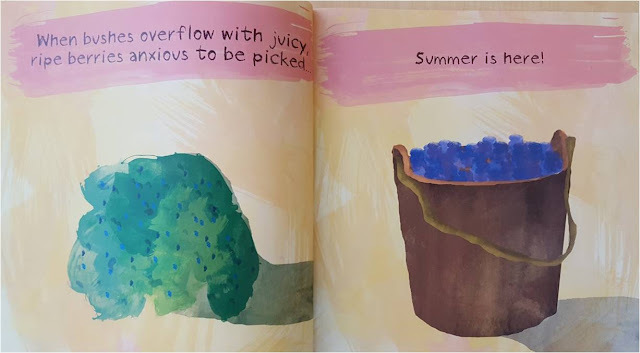 As you’ll see, the book has beautiful lyrical language and simple, bright watercolors that may inspire the poet or scientist within to reflect on his or her own observations about signs of summer. Students can quite easily borrow Gray’s language to craft their observations or musings into their own texts. They might also be influenced to experiment with watercolor illustration(s). 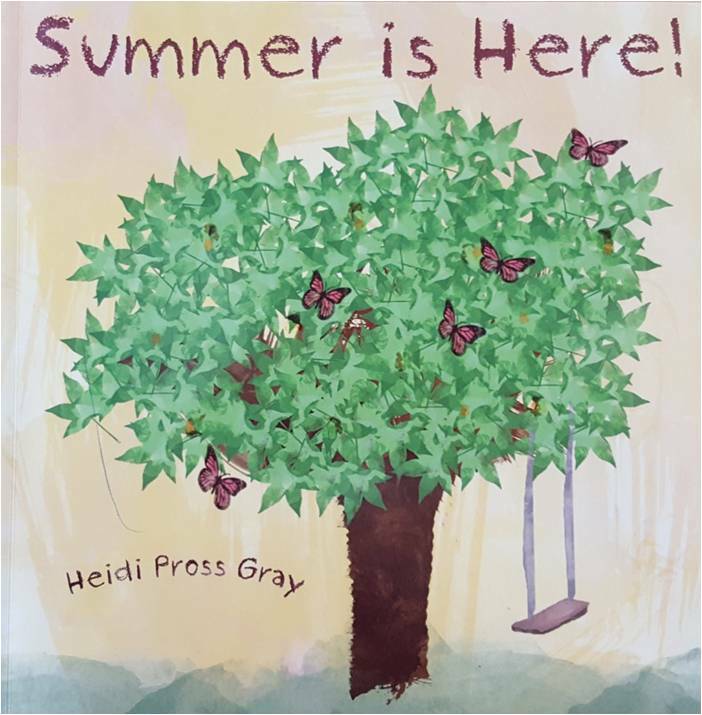 It's a simple task to work with students to study and utilize Gray's language structure to brainstorm and record their own signs of summer. For example, with very young students, you might ask them to simply follow the word “When” with an observation about something that happens in the summer. With older students, you might do some explicit teaching about parts of speech (nouns, adjectives, verbs, and adverbs), examining more deeply the language patterns Gray uses in the text and trying some on for size. This gem of a technique dates back to the 1980s to Don Holdaway's work with shared reading. It's a delightful way to scaffold young writers and inspire writing. Students' writing can be used to create a class book, to publish their own individual books, or simply shared. My TPT product includes more details about how to pick appropriate text models, additional tips on using innovations on texts, and a list of suggested book titles. If you'd like a copy of the product pdf, you can visit my TPT store, or email me and I'll send you it with my compliments! Thank you for visiting my blog! This post is brief as it is 3:30 AM and our last day of school begins in just a few hours! 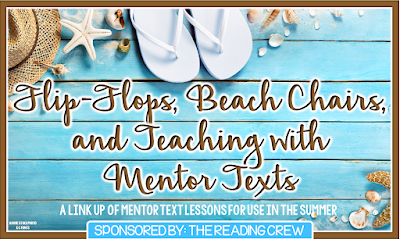 I hope you enjoy the other posts on using mentor texts in this summer link-up. There's also a raffle for some TPT gift certificates. Here's wishing you good luck! I love this idea, and I've enjoyed using it with a favorite of mine for fall, In November by Cynthia Rylant. This is a new title for me, and it's going in my Amazon cart! I LOVE teaching writing. Thanks for linking up at such a busy time of year. I'll check out your Cynthia Rylant recommendation. Happy to link up...love the opportunity to spread the writing love!